Wing nuts are used for parts that are frequently disassembled & reassembled, wing nuts offer hand turning in applications where increased torque is not required. A steel wing nut’s large metal wings provide for easy hand tightening and loosening, without the need for tools. There are many different types of wing nuts that are available, depending on your application needs. 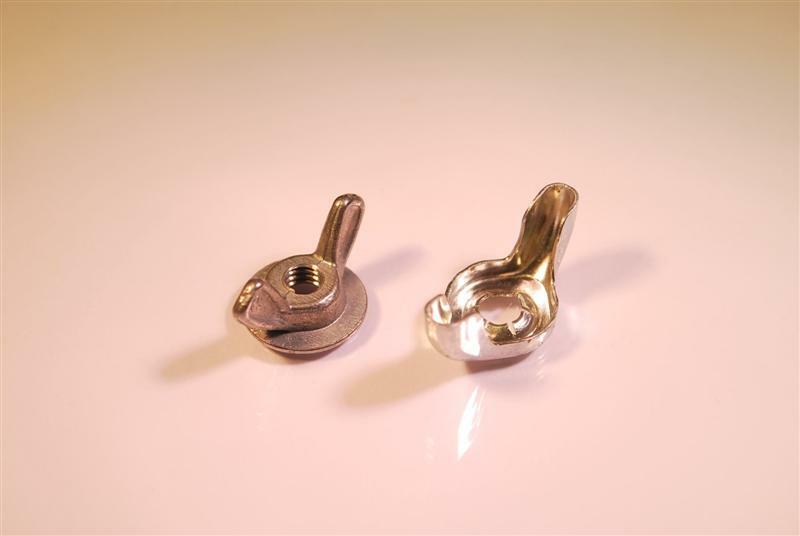 Standard and metric wing nuts are the two most common options. There are also a wide range of material options for your project needs including steel wing nuts and other metal options. Contact us for more information regarding the numerous types of wing nuts that JHP can provide for your project needs.Wing nuts are used for parts that are frequently disassembled/reassembled, wing nuts offer hand turning in applications where greater torque is not required. JHP's wing nuts are available in various materials and finishes, with many convenient sizing options. Contact usfor the highest quality standard and metric wing nuts in the industry, or call us at 800-783-0910 with any questions you may have.